Happy International Women’s Day! I’ve just returned home from a three week assignment for Oxfam which included photographing the activities of a group called AROH who campaign for the recognition of women farmers in Uttar Pradesh state. Think of an Indian farmer and it is likely that you will conjure up the image of a man, dressed a dhoti or perhaps wearing a turban toiling in a field of wheat or rice. But as Neelam Prabhat of AROH pointed out to me last week, it is not men but women who shoulder the burden of 70 to 80 percent of the agricultural work that takes place in India. 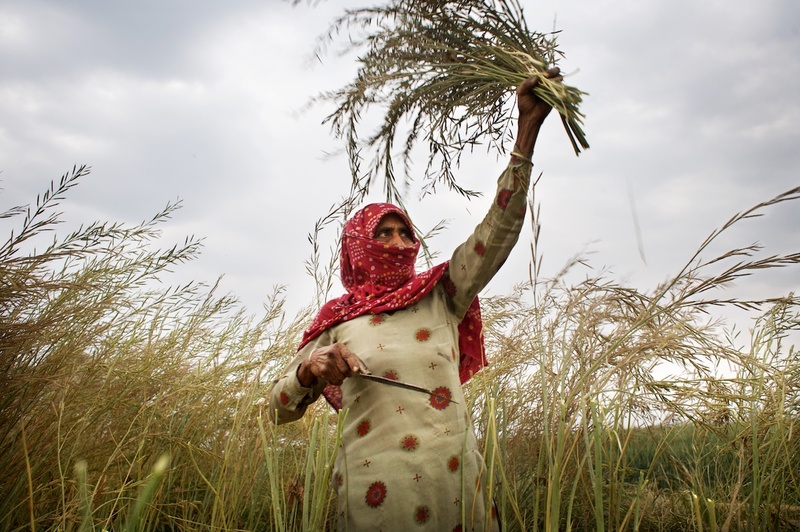 It isn’t only casual perceptions that fail to recognise the contribution women make to India’s agricultural economy. Women too are almost wholly denied control of the land they work. In Uttar Pradesh, only 6.5 percent of women own land. AROH understand that ownership of and control over land are essential for the recognition of women as farmers. Their campaign for the joint ownership of land in Uttar Pradesh is an important step in challenging the subjugation of women in rural India.